The following is a reprint of a letter of the Editor from Ron Iverson, President of the National Association of Medicare Supplement and Medicare Advantage Producers. Background: As dictated by 2015 legislation, the Social Security Administration (SSA) will begin the roll-out of new Medicare cards without the use of social Security numbers. Sadly, the scamsters are always looking to take advantage of a new script. There is great news for Medicare enrollees, and a bit of caution regarding scammers. The good news is that Medicare will be sending out new Medicare cards to each recipient. The cards will arrive sometime between April 1st of this year and will be completed by April 1st of next year. The new cards will have an 11-digit number that will have no relation to your Social Security number. So that is good news. I understand that Montana will be in the second wave of states being sent the new cards, and that delivery is scheduled to begin May 1st. 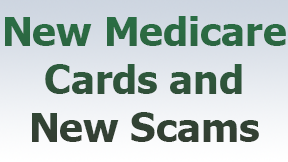 First, scammers are calling Medicare recipients, sometimes identifying themselves as Medicare or “government” officials and telling them that the new cards are coming out, but that they will have to send $30-50 to get the new cards. That is bogus—there is no charge for the new cards—and CMS/Medicare does not call people—it only uses the US Postal Service to communicate. The second technique is for the scammer to say that they have a Medicare Advantage Prescription Drug Plan available, but then request personal Medicare information so that the new plan can be utilized. This is also bogus. Whatever you do, do not fall for this. 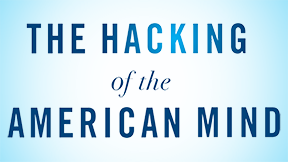 Medicare information is personal, and the scammers simply use it for other nefarious activities. So, we don’t know when or how the scammers will spring into operation in your area, but if you receive one of these calls, just hang up and report the activity with a call to 1-800-Medicare (800-633-4227). And…above all, do not feel pressured to respond to any of these calls—the scammers are well-trained in intimidation and persistency. Don’t fall for it. My Comments: Thank you Ron for your timely letter and information about the new Medicare card rollout. Let’s review some common techniques used by scammers and how to avoid becoming a victim. Governmental agencies such as the SSA, IRS, and CMS always communicate with you via U.S. Mail. They do not phone you nor do they email you. You can automatically assume that any purported “governmental” communication from these sources are either scam or phishing schemes. Hang up to any such phone calls and do NOT open any suspicious emails. Hit the “delete” key. In a similar vein, your credit card company, cable company, or tel-com company will never ask you to provide your user and passwords to them so they can ”update” their information. Delete such suspicious emails. Passwords: Use complex passwords with 12 or 16 characters. Use a mix of upper case, lower case, numbers and symbols. I highly recommend using a password manager such as Last Pass, KeePass, or 1Password. For more information, please click here. Use second factor authentication for critical accounts. Be careful about what you post on social media. 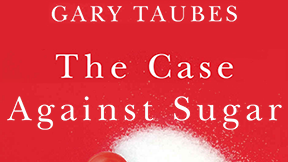 To view Gary Taubes’ 1 hour and 22-minute YouTube video, please click here. What if Roald Dahl and Michael Pollan are right that the taste of sugar on the tongue can be a kind of intoxication? Doesn’t it suggest that the possibility that sugar itself is an intoxicant, a drug? Imagine a drug that can do this to us, that can infuse us with energy and can do so when taken by mouth. It doesn’t have to be injected, smoked or snorted for us to experience its sublime and soothing effects. Imagine that it mixes well with virtually every food and particularly liquids. Imagine that when given to infants it provokes a feeling of pleasure so profound and intense that its pursuit becomes a driving force throughout their lives. Overconsumption of this drug has long-term side effects but there are none in the short-term. There is no staggering or dizziness, no slurring of speech, no passing out or drifting away, no heart palpitations or respiratory distress. When it is given to children, its effects may be only more extreme variations of the apparently natural emotional roller coaster of childhood. From the initial intoxication to the tantrums and whining that may or may not be withdrawal a few hours later. More than anything, our imaginary drug makes children happy, at least during the period in which they’re consuming it. It calms their distress, eases their pain, focuses their attention and then leaves them excited and full of joy until the dose wears off. The only downside is that children will come to expect another dose, and perhaps demand it on a regular basis. I should have said this book was also informed by the fact that I am a parent of two pre-adolescent boys. Michael Pollan said to me at lunch one day that moderating your children’s sugar intake is one of the primary responsibilities of adulthood. I borrow from Michael there as well, but I don’t quote him. How long would it be before parents took to using our imaginary drug to calm their children when necessary, to alleviate pain, to prevent outbursts of unhappiness, or to distract their attention? And, once the drug became identified with pleasure, how long before it would be used to celebrate birthdays, a soccer game, good grades in school? How long before it would become a way to communicate love and celebrate happiness? How long before no gathering of family and friends was complete without it, before major holidays and celebrations were defined in part, by the use of this drug to ensure pleasure? How long would it be before the underprivileged of the world would happily spend what little money they had on this drug rather than on nutritious meals for their families? How long would it be before this drug, as the anthropologist, Sidney W. Mintz said about sugar, demonstrated, “A near invulnerability to moral attack.” How long before writing a book such as this one was perceived as a nutritional equivalent to stealing Christmas? I wanted to call this book Stealing Christmas: The Case Against Sugar and just lay it out there. I understand the Grinch-like aspect of what I’m doing; I’m not blind to it. It’s another way of saying that I’m not an idiot. But my editor preferred otherwise. When I would tell people the title of my book, a surprising number of them didn’t get the Grinch reference. Maybe Dr. Seuss hasn’t permeated our lives quite as much as I thought. What is it about the experience of consuming sugar and sweets, particularly during childhood that invokes so readily the comparison to a drug? I have children, still relatively young, and I believe raising them would be a far easier job if sugar and sweets were not an option, if managing their sugar consumption, as Michael Pollan said (but I’m not quoting here), did not seem to be a constant theme in our parental responsibilities. Well, why is it necessary? Children collect many things: Pokémon cards, Star Wars paraphernalia, Dora the Explorer backpacks, and many foods taste good to them. What is it about sweets that makes them so uniquely in need of rationing? Which is another way of asking whether the comparison to drugs and abuse is a valid one. This is of more than academic interest because the response of entire populations to sugar has been effectively identical to that of children. Once populations are exposed, they consume as much sugar as they can easily procure, although there may be natural limits in that culture about current attitudes about food. As the price of a pound of sugar has dropped over the centuries, from the equivalent of 360 eggs in the 13th century to 2 eggs in the early decades of this one, the amount of sugar consumed has steadily, inexorably climbed. During those brief periods of time during which sugar production surpassed our ability to consume it, the sugar industry and the purveyors of sugar-rich products have worked diligently to increase demand and at least until recently have succeeded. The critical question which scientists debate, is what journalist and historian Charles C. Mann has eloquently put it, is whether sugar is actually an addictive substance or do people just act like it is. The question is not easy to answer. Certainly, people and populations have acted as though sugar is addictive, but science provides no definitive evidence. Until recently, nutritionists studying sugar did so from the natural perspective as viewing sugar as a nutrient, a carbohydrate and nothing more. They occasionally argued about whether or not it might play a role in diabetes or heart disease, but not about whether it triggered a response in the brain or body that made us want to consume it in excess. That was not their area of interest. The few neurologists and psychologists interested in probing the sweet tooth phenomenon or why we might need to ration our sugar consumption so as not to eat it to excess, did so typically from the perspective of how these sugars compared to other drugs of abuse, in which the mechanism of addiction is now relatively well understood. Lately, this comparison has received more attention as the public health community has looked to ration our sugar consumption as a population and has thus considered the possibility that one way to regulate these sugars, as with cigarettes, is to establish that they are indeed addictive. These sugars are very likely unique in that they are both a nutrient and a psychoactive substance with some addictive characteristics. Historians have often considered that the sugar-as-a-drug metaphor to be an apt one. “That sugars, particularly highly refined sucrose, produce peculiar physiological effects is well known,” wrote the late Sidney Mintz, whose 1985 book, Sweetness and Power, is one of two seminal English-language histories of sugar, on which other and more recent writers on this subject, myself included, heavily rely. But these effects are neither as visible nor as long-lasting as those of alcohol or caffeinated beverages, “The first use of which can trigger rapid changes of respiration, heartbeat, skin color, and so on.” Mintz has argued that a primary reason that through the centuries sugar has escaped religious-based criticism for the kind pronounced on tea, coffee, rum, and even chocolate is that whatever conspicuous behavioral changes may occur when infants consume sugar, it did not cause the kind of “flushing, staggering, dizziness, euphoria, changes in the pitch of the voice, slurring of speech, visibly intensified physical activity or any of the other cues associated with the ingestion” of these other drugs. As this book will argue, sugar appears to be a substance that causes pleasure with a price that is difficult to discern immediately and paid in full in the years or decades later. With no visible, directly noticeable consequence as Mintz says, questions of “long term nutritive or medical consequences went unasked and unanswered.” Most of us today will never know if we suffer even subtle withdrawal symptoms from sugar because we never go long enough without sugar to find out. Mintz and other sugar historians consider the drug comparison to be so fitting in part because sugar is one of the handful of “drug foods,” to use Mintz’s term, that came out of the tropics, and on which European empires were built from the 16th century onward, the others being tea, coffee, chocolate, rum and tobacco. Its history is intimately linked to that of these other drugs. Rum is, of course, distilled from sugar cane, whereas tea, coffee and chocolate were not consumed with sweeteners in their regions of origin. Actually, when the conquistadors discovered the Aztecs eating chocolate in Mexico, in their march and fully confident of their devastation of the people, the Aztecs were mixing it with chili peppers. The conquistadors tried it and said it “tasted awful and they wouldn’t feed it to their pigs.” So, they shipped it back to Europe anyway, and they started mixing it with sugar. Within about 50 years, hot chocolate had become the morning and afternoon drink for the Spanish aristocrats. In the 17th century, once sugar was added as a sweetener, and prices allowed it, the consumption of these substances in Europe exploded. Sugar was used to sweeten liquors and wine in Europe as early as the 14th century. Even cannabis preparations in India and opium-based wines and syrups included sugar as a major ingredient. Lustig’s central thesis is that corporations and governments are purposely conflating (mixing up two opposite concepts) pleasure and happiness. This is being done for their gain and at the expense of the person that is left confused by the conflating of these two distinctly different but related concepts. Pleasure: Enjoyment or satisfaction derived from what is to one’s liking; gratification. While pleasure has a multitube of synonyms, it has a specific, well understood “reward pathway” in our brain. Happiness: The quality of being happy or contentment. I’ll skip over the philosophy of Aristotle that he cites to further explain happiness. Contentment says that I’m satisfied; it’s not necessary to seek more. Chapter 1 to a large extent reiterates the concepts that Lustig proposes in his introduction. Let’s see what we can gleam, however, from this chapter. Lustig poses the question, why are so many people miserable? He also points out that many rich people are unhappy. Additionally, he points out that some people claim that the argument between pleasure and happiness is a “straw man.” He asserts that it does matter and that the differences between these two otherwise positive emotions forms the narrative arc of this book. He explains that pleasure is the “reward pathway” and happiness is the “contentment” pathway. Lustig also concedes that the definition of happiness has changed over time. He spends page 19-20 discussing how various religious traditions have dealt with the concepts of pleasure and happiness. He says that the definitions of these words are a moving target. Because people want to learn how to be happier, numerous pop psychology books have appeared in recent decades, ostensibly leading people on the way to the happiness that they seek. However, most of these books confuse pleasure with happiness. Until you can distinguish the difference between these two emotions, you can’t recognize either one as unique and you can’t understand, let alone fix, the problem for yourself and for your family. Lustig is not happy about Stanford’s conflating his two key concepts that drive his book. He spends the reminder of page 24 discussing some philosophical nuances of pleasure and happiness. And as corporations have profited big from increased consumption of virtually everything with a price tag promising happiness, we have lost big-time. America has devolved from the aspirational, achievement oriented “city on a hill” we once were, into the addicted and depressed society that we’ve now become. Because we abdicated happiness for pleasure. Because pleasure got cheap. My comments: All through school I struggled with abstract concepts, and I’m struggling again. I’m fully sympathetic with anyone who thinks the following as he/she reads this summary: “I’m not sure that I understand all of this. Let’s see if this helps. As a pre-adolescent emerging into adolescence, I loved drinking soda pop. It was sweet, fizzy, and tasted good. Back in those days soda pop was marketed in returnable bottles with deposits. I marveled with a friend when we bought a bottle of Royal Crown Cola. Why? The Royal Crown came in a 16-ounce bottle instead of the standard 12-ounce bottle. Coke was still being sold in 8-ounce bottles. That extra 4 ounces of pop delivered more pleasure that lasted longer as I drank it down. As it fed my sugar addiction, it certainly didn’t add to my long-term happiness. In fact, because the massive sugar fix that I was imbibing contributed to weight gain, which contributed to me becoming more depressed. Fast forward from the 1950s to today. Pop is still marketed and sold in 12-ounce cans. However, the 20-ounce plastic bottle has now become the new norm. That 20-ounce bottle has 67% more bad stuff compared to the old, 12-ounce can. And don’t think you’re getting off the hook if you consume “diet.” It’s all bad. If the 20 ounce “new” serving size wasn’t big enough, the liquid candy purveyors are now marketing 24 ounce and 1-liter single serving sizes. However, the sales in recent years has been lagging for these super-sized servings, so the liquid candy folks have originated a clever new marketing gambit. The liquid-candy-in-a-can folks are now marketing a 7.5-ounce can that sells for more than 12-ounce cans! This is something like $0.50 per can versus the $0.31 for a 12 ounce can. Or put another way, the liquid candy drinker now pays more for his/her smaller sized fix compared to a larger size. A couple of years ago I attended an insurance meeting in Denver, and as a treat for the attendees, the sponsoring agency bussed us to a Colorado Rockies baseball game at Coors Stadium. The last major league baseball game I attended was around 50 years ago at Dodger Stadium in Los Angeles. Was I in for a rude shock. During every inning break we were bombarded with a plethora of advertising, especially for soda pop, on the brightly lit, monster outdoor screens. I vividly remember one of the scenes of the HAPPY young adults romping around and having fun while guzzling down their liquid candy. Their heads were tipped back with their pop bottles tipped upside down at a 60-degree angle. The close-up shots showed the imbibers’ throats flexing as they swallowed their caffeinated candy. I don’t think it’s a stretch to suggest that the scenes had sexual overtones. I can’t think of a better example of Lustig’s narrative of the conflating of pleasure and happiness. He also repeatedly hammers at the theme that the corporations’ conflating of pleasure and happiness is done at the expense of the consumer, or more accurately, the unwitting victim. That could be you! Warren Buffet’s Berkshire Hathaway collects around $500 million dollars per year in dividends from the Coca Cola stock that he purchased around 30 years ago. On December 1, 2012 the value of one Class A share of Berkshire Hathaway’s stock (BRK-A) was around $152,000. BRK-A hit $325,000 plus on January 22, 2018. That’s a doubling of wealth in a little over five years! Every consumer that purchases Coke products (or any other liquid candy brand for that matter) has contributed to that explosion in wealth. It’s a they win, and you lose proposition. Meanwhile we hear on the news that America’s middle class in shrinking. We hear reports of the startling high percentage of seniors that are living at or below the poverty line. An exhaustive study of the causes of this occurrence is way beyond the scope of this chapter summary. Please remember that the “diet” form of liquid candy introduces toxic substances such as aspartame or sucralose (Splenda) into your body. The evidence is clear that “diet” increases your appetite and is totally counter-productive as far as losing weight goes. Increased dental costs due to the phosphoric acid in colas eating away the enamel on your teeth. I have received many calls from people needing thousands of dollars with of crowns, implants or other expensive dental work. Financial ruin. The money spent on soda pop might as well be money flushed down the toilet. Worse yet, for those whose health has been damaged by the consumption of pop, there are increased medical costs that somebody is paying for. I have heard many people anguishing over the copays for their insulins (especially when packaged in pens) such as Lantus, Humalog and Novolog. Additionally, major pharmaceutical companies have developed expensive new diabetic drugs such as Januvia, Victoza, Onglyza, Byetta, and Trajenta. The costs for some of these are so high that some people simply cannot afford them. Depression caused by a combination of the above occurrences. I think Dr. Lustig would whole-heartedly agree that the drinking of soda pop may give temporary pleasure, but not only does it not lead to long-term happiness, but it contributes to depression when the negative results begin to occur. Please remember that too much pleasure leads to addiction and not enough happiness leads to depression. These three pathways generate virtually all human emotion, and in particular, those of reward and contentment. Because of how dopamine works on the reward pathways, virtually any stimulus that generates reward can lead to addiction. These addictions can include drug addiction, but they can also include behavior such as gambling or internet use. Sugar along with high fructose corn syrup sweetened foods or beverages are also highly addictive. Happiness depends on serotonin, but the brain’s interpretation of these signals isn’t as simple as the pleasure signal. Lustig explains that when the THC in marijuana binds to our CBI receptors it heightens mood and alleviates anxiety, which is partially why people become so giddy when they smoke pot…in those who toke, anxiety is thrown to the wind, leaving plenty of room for pleasure. He discusses the drug Rimonabant which suppresses pleasure receptors. This drug was supposed to help people curb their eating as they received less pleasure from eating. The only problem was that when a person loses motivation for reward, he/she also lost motivation for life. Some suicides were the end result. Studies of married people show that the contentment derived from the commitment of an interpersonal union generates added individual benefit; people within such unions tend to live longer and develop fewer diseases then those who never married or those that are previously divorced. Lustig points out that romance novels run on infatuation (reward) while love (contentment) is boring. Infatuation leads to alteration in the brain chemistry that resembles drug addiction, almost assuredly due to dopamine. He concludes Chapter 2 by mentioning how the neurotransmitters dopamine and serotonin physiologically work in our brains. He explains that these two pathways influence each other. 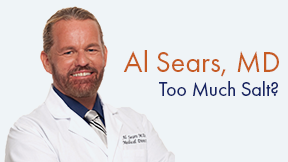 Note from Lance: This is a reprint of an article by Dr. Sears with my comments after. These expressions have their origin in the fact that up until about only a hundred years ago or so, salt was one of the most valuable and sought-after commodities in the world. I’m sure you’ve heard the dire warnings about salt from your own doctor, the media, the FDA and just about everyone else. It makes great attention-grabbing headlines. But these recommendations are not just misleading; they’re downright dangerous. Current FDA and AHA guidelines recommend that to lower blood pressure and reduce your risk of heart disease, you should consume no more than 1,500 mg of salt per day. Their hypothesis goes like this… You eat salt and get thirsty, so you drink more water. The excess salt causes your body to retain that water. And retaining excess water increases your blood volume, which leads to higher blood pressure… and therefore to heart disease and stroke. I’m all for better labeling and your right to choose how much salt you consume. But if you were to slash your salt consumption by 30% or more, as the FDA and AHA recommend, the chances are we’d be struck by a major health crisis. Decades of pushing a low-salt diet may even be partly responsible for the epidemic in insulin-resistance and diabetes faced by millions of Americans today. Salt craving is normal. It’s a biological need, just like your thirst for water. The truth is, you can’t live without salt. Salt carries nutrients across cell membranes and into your cells. Your heart, kidneys, liver and other organs need it to function. It helps regulate fluid balance and muscle contraction. You can’t digest food without it. And humans are salty people. We cry and sweat salt. Even our blood is salty. Here’s what I tell my patients who are worried about their salt intake: Toss the processed table salt. The salt you find on supermarket shelves is refined table salt. And table salt is not even anywhere close to the kind of salt Mother Nature intended. Table salt is superheated and bleached until it’s devoid of nutrients and minerals. Stop eating fake foods. Americans get almost 80% of their salt intake from processed foods. And these fake foods are loaded with sodium — even if they aren’t traditionally “salty” foods. It acts as a food preserver and works by removing water from the food so bacteria can’t survive. Salt has been used to preserve food for thousands of years. But the salt Big Agra uses is loaded with chemicals and can be listed in the ingredients under names like sodium ascorbate and sodium lactate. Sea Salt: Natural sea salt is unrefined. It contains sodium chloride like ordinary salt, but also has 50 other minerals, with all the co-factors and trace elements nature intended real salt to have. Sadly, most sea salt around the world has been contaminated by plastics pollution. But it’s still better for you than processed table salt. Himalayan Crystal Salt: Himalayan salt is mined from ancient salt beds in the Himalayas. Since these salt beds are ancient and dried, they don’t have a risk of contamination. They also contain many trace minerals. For example, 500 mg of Himalayan salt has 250 mcg of iodine. Its pinkness comes from its rich iron content. The amount of trace minerals in each salt. The ratio of those minerals. The particle size and structure of those minerals. The level of contamination with additives, chemicals or pollution. The research on that specific salt showing its health benefits. They next list a useful spread sheet that shows why their brand of salt is superior compared to others. There is another brand of unrefined salt called Real Salt. It is mined from an underground salt deposit in central Utah. Their website does not get into the detailed specifics as does the one for Himalayan Crystal Salt. “Sodium and Salt.” American Heart Association. Brownstein D. “Salt Your Way to Health.” A Grain of Salt Winter. 2006 issue. Graudal NA., Hubeck-Graudal T., et al. “Effects of Low-Sodium Diet Vs. High-Sodium Diet on Blood Pressure, Renin, Aldosterone, Catecholamines, Cholesterol and Triglyceride [Cochrane Review].” Am J Hypertens. 2012 Jan.
Alderman MH., Madhavan S., et al. “Association of the Renin-Sodium Profile With the Risk of Myocardial Infarction in Patients With Hypertension.” N. Engl. J. Med. 1991. Ruivo GF., Leandro SM., et al. “Insulin Resistance Due to Chronic Salt Restriction is Corrected by α and β Blockade and by l-arginine.” Physiology and Behavior. 2006. Mente A., et al. “Associations of urinary sodium excretion with cardiovascular events in individuals with and without hypertension: a pooled analysis of data from four studies.” Lancet. 2016 Jul 30. Alderman MH. “Dietary salt and cardiovascular disease.” Hillel Cohen. Published: 10 Dec 2011.